When making slip covers or re-upholstering furniture, you might need an idea of how much fabric will be required for the project. 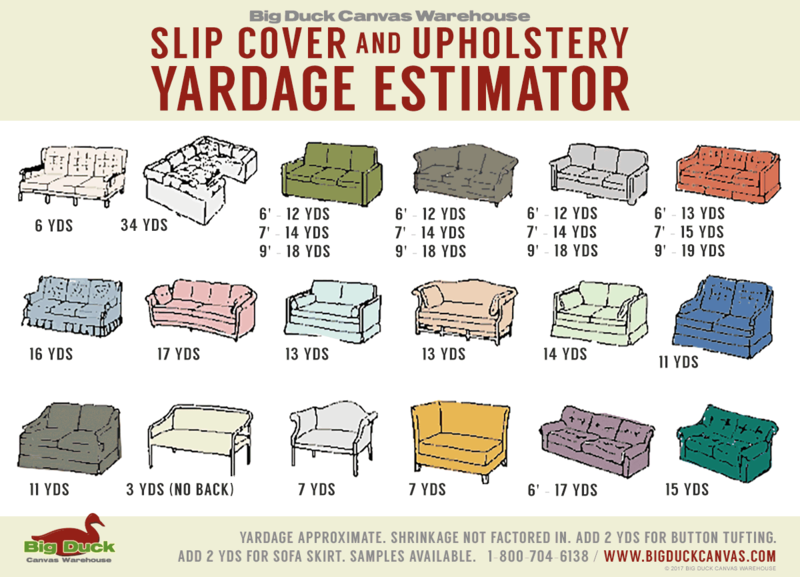 Use our “Slip Cover and Upholstery Yardage Estimator” to get a rough idea of the amount you’ll need. Yes, all based on 59″/60″ rolls. Thanks! Are the estimated yardages above on the the quick yardage guide for slip covers based on 60″ w duck cloth? Thanks.